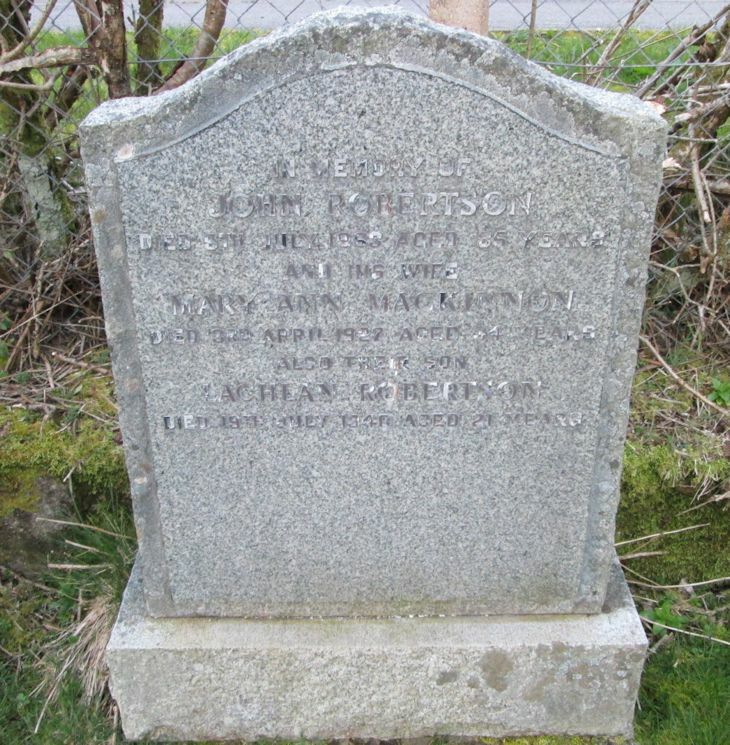 Skye Gravestones | John & Mary (Mackinnon) Robertson, s. Lachlan. John & Mary (Mackinnon) Robertson, s. Lachlan. In memory of/JOHN ROBERTSON/died 9th July 1963 aged 85 years/and his wife/MARY ANN MACKINNON/died 3rd April 1927 aged 34 years/also their son/LACHLAN ROBERTSON/died 19th July 1940 aged 21 years. Lachlan died 19th July 1940. Added by Nellena Ellen on 01 October 2016.